The link below shows a clip of Ettadavu Step 2. The next set of adavus is ‘Ettadavu’. (yettu +adavu). ” Yettu” in Tamil means “to reach out” or “to stretch”. True to its name the adavu comprises of movements that reach outwards , expanding the space used the dancer. These steps are usually seen at the beginning of Jathi Korvais. Traditionally, a lot of Trikala Jathis (The 3 speed jathis seen in Varnam) begin with this adavu, though it is not a necessity. The adavus use tripathakam on both hands. The lines and the hands and feet emphasize the stretching movements. My name is Vidya Warrier and I will be helping Sangeetha put up videos of the lessons from here onwards! 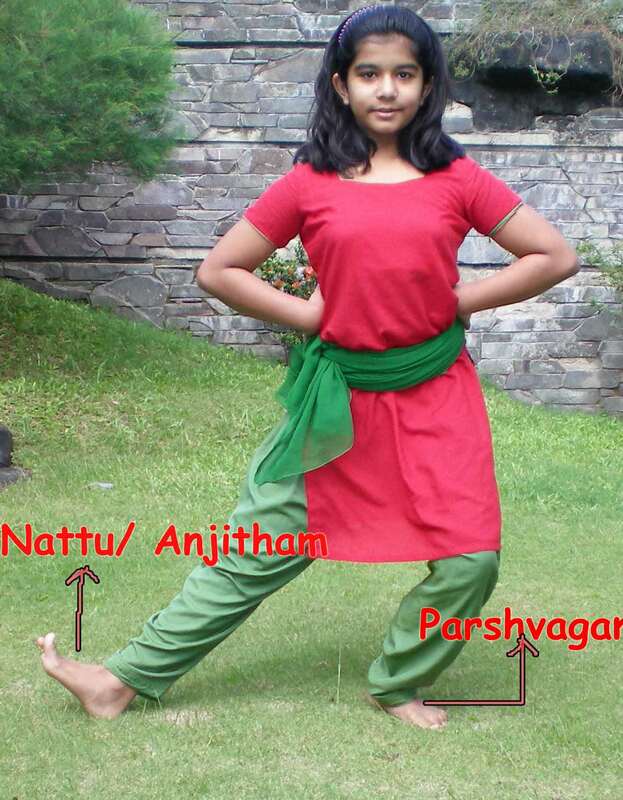 I have been learning dance since the age of five and was a Kalakshetra student under my guru Shrimati Suma Balasubramaniam for several years. Thereafter, I learnt under Shrimati Thenuka Vigneshwaran who was a disciple of Smt. Chitra Visweswaran. I performed my arangetam in the year 2006 in under Guru Thenuka. Thanks you and hope my upcoming videos shall be useful to you.